Summary of today’s show: Scot Landry delivered a talk on the push for physician-assisted suicide in Massachusetts, addressing the historical, ethical, and practical considerations as voters in the Commonwealth are confronted by this matter of life and death in the election this fall. As part of the Archdiocese of Boston’s Suicide is Always A Tragedy educational effort, Scot recorded this talk for use on The Good Catholic Life. Information from materials on SuicideIsAlwaysATragedy.org and from the USCCB webpage on Physician Assisted Suicide is used in the talk. Suicide is ALWAYS a tragedy. It’s never a dignified way to die. Most in our society readily understand that when someone is contemplating suicide at any age of life, he or she is normally suffering from a depression triggered by very real setbacks and serious disappointments and sees death as the only path to relief. The psychological professions know that people with such temptations need help to be freed not from life but from these suicidal thoughts through counseling, support, and when necessary, medication. The compassionate response to teenagers experiencing a crushing breakup, to unemployed fathers overwhelmed by pressure, to unhappy actresses feeling alone and abandoned, to middle-aged men devastated by scandalous revelations, is never to catalyze their suicide. Heroic police officers and firefighters climb bridges or go out on the ledges of skyscrapers for a reason. Dedicated volunteers staff Samaritan hotlines around the clock for a reason. This same type of care and attention needs to be given by a just and compassionate society to suffering seniors or others with serious illnesses. We’re now living at a time in which this clear truth isn’t seen by all and where some are advancing that suicide, rather than a tragedy, is actually a good, moral, rational and dignified choice. A year ago, if you were exiting the Callahan Tunnel in East Boston, you would have been confronted with a billboard paid for by the Final Exit Network, with white letters against a black background proclaiming, “Irreversible illness? Unbearable suffering? Die with Dignity.” To die with dignity, the billboard advanced, was to commit suicide with the help of a doctor. We would never tolerate a similar sign in Harvard Square or at any university: “Failing your courses? Unbearable heartbreak? Feel like the “one mistake” the Admissions Office made? End your collegiate career with dignity. Take your life.” We would know that preying on the emotionally down and vulnerable is never an act of compassion but what John Paul II called a perversion of mercy. Yet, in Massachusetts, we now have a Citizens Initiative Petition called the Death with Dignity Act that seems to be headed to the ballot this November that will legalize suicide for a class of citizens.This would involve the active cooperation of doctors prescribing lethal overdoses of drugs. Such attempts to legalize physician-assisted suicide have been introduced here in Massachusetts and been rebuffed in 1995, 1997, 2009 and 2010, but this year seems to be the best chance for proponents of euthanasia to achieve their objective of making Massachusetts the East Coast Oregon and the North American Netherlands. A recent poll by Public Policy Polling showed that support for the measure is ahead of the opposition 43-37 percent. So there is much work to do and much at stake. It’s literally a matter of life and death. Whether we become active in the fight against doctor prescribed suicide may make the difference between lives being saved or tragically ended. So in this address, in the brief time we have, I’d like briefly to do several things.First, I’ll describe the cultural background for this push for doctor prescribed death. Next, I’d like to touch on Church teaching, in order to strengthen us in our conviction as believers. Third, I’d like to focus on the Death with Dignity Act, and what the problems with it are even from an agnostic, commonsensical point of view, to equip us with arguments that will meet citizens where they’re at, regardless of their belief in the dignity of every human life and that intrinsic evil of suicide. Lastly, I’d like to describe what we’re being called to do now, as Catholics, as Harvard students and alumni, simply as truly compassionate human beings. The push for physician-assisted suicide isn’t coming out of a vacuum. It’s a natural consequence of several factors that we need to be aware of if we are going to be able to persuade those who may unwisely be prone to support it. A great fear of suffering and death and a desire to control it – Pope John Paul II pointed this out in his 1995 encyclical The Gospel of Life (64): “The prevailing tendency is to value life only to the extent that it brings pleasure and well-being; suffering seems like an unbearable setback, something from which one must be freed at all costs. Death is considered “senseless” if it suddenly interrupts a life still open to a future of new and interesting experiences. But it becomes a “rightful liberation” once life is held to be no longer meaningful because it is filled with pain and inexorably doomed to even greater suffering. An exaggerated notion of personal autonomy or selfish individualism – There is a notion that no one can tell me what is good for me.. EV 64: When he denies or neglects his fundamental relationship to God, man thinks he is his own rule and measure, with the right to demand that society should guarantee him the ways and means of deciding what to do with his life in full and complete autonomy. It is especially people in the developed countries who act in this way. There’s a distinction to be made between a healthy individualism and an exaggerated one that excludes any real sense of duties owed to family members, to society, to others. Almost all the justifications for legalizing physician assisted suicide focus primarily on the dying person who wants it. Its harmful impact on society and its values and institutions are ignored. If personal autonomy is the basis for permitting assisted suicide, why would a person only have personal autonomy when diagnosed (or misdiagnosed) as having a terminal condition? [ Rita Marker]If assisted suicide is proclaimed by force of law to be a good solution to the problem of human suffering, then isn’t it both unreasonable and cruel to limit it to the dying? A legal positivism that believes that there are no universal moral norms, but just the values we impose, either by courts and legislatures or ballot petitions – In yesteryear, the debate over euthanasia would take place within the context of moral and religious coordinates. No longer. There ceases to be common reference to anything higher than the debates that occur in the “secular cathedrals” of courthouses and legislatures. Believers have often abetted this secularization of discourse by allowing secularists to drive religious and moral values from normal discourse so that the public square becomes “naked” and our sacred scripture becomes court opinions and our prophets become the talking heads in the media. Materialism and consumerism – Our society has lost a sense of the sacred, of mystery of the soul. The body is looked at just as a machine and human life as a whole has become two dimensional. This abets the push for euthanasia because ideas that there is meaning in suffering, even in death, seems like outdated ideas and that we should treat these fundamental human realities of suffering and death the way we do cars, or pets, or other things that begin to break down. We dispose of them once their usefulness is no longer apparent. An anthropology based on scientific and mechanistic rationalism – Our scientific and medical progress, among other things in being able to produce life in test tubes and other practices, has led us to believe that if we can “create” life we should be able to manipulate it and end it, because life has lost its sense of mystery and its connection to a creator beyond us. We become what the raw material of human life becomes with time. We no longer are seen to be special in comparison with animals or robots. If we can euthanize our suffering pets, we should, so says Princeton’s Peter Singer, be able to euthanize human beings and allow them to end their own lives. A misunderstanding of human dignity – American political scientist Diana Schaub says “we no longer agree about the content of dignity, because we no longer share … a ‘vision of what it means to be human’.” Intrinsic dignity means one has dignity simply because one is human. This is a status model — dignity comes simply with being a human being. It’s an example of “recognition respect” — respect is contingent on what one is, a human being. Extrinsic dignity means that whether one has dignity depends on the circumstances in which one finds oneself and whether others see one as having dignity. Dignity is conferred and can be taken away. Dignity depends on what one can or cannot do. We need to be aware of these aspects of our culture because we’re really going to be able to change hearts and minds long term, to re-evangelize the culture of death with a culture of life, only when we’re able to get to the roots of the ideas that find euthanasia not only acceptable, not only worthwhile, but in some cases obligatory. I presume most people listening to this presentation would be aware of the Church’s teaching with regard to euthanasia and doctor prescribed death.We believe that human life is the most basic gift of a loving God, a gift over which we have stewardship not absolute dominion. As responsible stewards of life, we must never directly intend to cause our own death or that of anyone else. Euthanasia and assisted suicide, for that reason , are always gravely wrong. The fifth commandment applies to our actions toward ourselves and to others. For this reason, Blessed Pope John Paul II said in Evangelium Vitae : To concur with the intention of another person to commit suicide and to help in carrying it out through so-called “assisted suicide” means to cooperate in, and at times to be the actual perpetrator of, an injustice which can never be excused, even if it is requested. In a remarkably relevant passageSaint Augustine writes that “it is never licit to kill another: even if he should wish it, indeed if he request it because, hanging between life and death, he begs for help in freeing the soul struggling against the bonds of the body and longing to be released; nor is it licit even when a sick person is no longer able to live”. Even when not motivated by a selfish refusal to be burdened with the life of someone who is suffering, euthanasia must be called a , and indeed a disturbing “perversion” of mercy. True “compassion” leads to sharing another’s pain; it does not kill the person whose suffering we cannot bear.Moreover, the act of euthanasia appears all the more perverse if it is carried out by those, like relatives, who are supposed to treat a family member with patience and love, or by those, such as doctors, who by virtue of their specific profession are supposed to care for the sick person even in the most painful terminal stages” (66). These considerations are very important in terms of forming ourselves as Catholics, and they help all of us see more clearly and with greater confidence, thanks the help of Revelation, that doctor prescribed death is always wrong. These arguments won’t necessarily work ad extra, in terms of the persuasion of the public as a whole, but they will be far more direct and persuasive to those who believe that they believe that God exists, that he speaks to us through Sacred Scripture and the Church he founded, to guide us to the truth in faith and morals. The state of Oregon made assisted suicide a medical treatment in 1994 and three years later legalized it outright. In 2008, Washington did the same. That same year courts in Montana said that patients have the right to self-administer a lethal dose of medication as prescribed by a physician and determined that the doctor would not face legal punishment for doing so. But in the time since 1994 in Oregon, there have been 124 proposals in 25 states. All that are not currently pending were either defeated, tabled for the session, withdrawn by sponsors, or languished with no action taken. Michigan defeated a Kevorkian led referendum in 1998. Maine defeated a referendum for physician assisted suicide in 2000 (51-49). California defeated the Compassionate Choices Acts in 2005. New Hampshire defeated an assisted suicide bill 242-113 in January 2010. Later that year, Hawaii’s health committee unanimously rebuffed it. Earlier this month, the State of Vermont defeated it 18-11 in the Senate. The vast majority of times it has come up in states across the nation, it has been defeated. Doctor physician suicide remains an explicit crime in 44 states. The same thing has happened internationally. After the Netherlands legalized it, The Scottish Parliament overwhelming defeated an attempt to give “end of life Assistance” 85-16 in 2010. In the same year, the Canadian parliament defeated a bill that would have legalized euthanasia and assisted suicide by a vote of 228 to 59. In Western Australia, a major effort was launched to pass a euthanasia bill, and it was struck down 24-11 in September 2010.Since the beginning of 2010 five countries have defeated efforts to pass more radical laws enabling not just assisted suicide but Netherlands-style euthanasia, which allows medical professionals to kill very ill or depressed patients. The bottom line is that we should have hope. If euthanasia can be defeated in California, in Vermont, in Britain, in Canada, it can be defeated here. The reason is because fundamentally those fighting against euthanasia are not primarily conservatives or, even more restricted, religious conservatives. Most current opposition coalitions include many persons and organizations whose opposition is based on progressive politics, especially disability rights groups and medical associations . Let’s turn now to the Death with Dignity Act that Attorney General Martha Coakley certified as a citizens initiative petition on September 7, 2011.Presently assisting suicide currently is a common law crime in MassachusettsThis petition allows a Massachusetts adult resident, who has been diagnosed with a terminal illness that will likely result in death within six months, to request and receive a prescription for a lethal drug to end his or her life. If passed, the petition would legalize physician-assisted suicide. Two physicians will need to determine the terminal diagnosis, the mental state of the patient, and that the patient is acting voluntarily. The patient must make two oral requests within no fewer than fifteen days of one another. A written request is also required with a minimum of forty-eight hours between the written request and the writing of a prescription for the lethal drug. Let’s begin parsing what this is all about.First I’ll describe technical issues with the actual petition and then discuss some of the larger issues involved. There are at least 5 technical issues with the actual petition. The third technical issue with the petition is that there is no mandatory psychiatric evaluation to determine the level of depression or a plan to handle depression. The petition only requires a determination that the person does not have impaired judgment (Section 6). In To Live Each Day with Dignity, the US Bishops remarked, “Medical professionals recognize that people who take their own lives commonly suffer from a mental illness, such as clinical depression. Suicidal desires may be triggered by very real setbacks and serious disappointments in life. However, suicidal persons become increasingly incapable of appreciating options for dealing with these problems, suffering from a kind of tunnel vision that sees relief only in death.” It is never rational to choose suicide. Depression is one of the main factors that drives one to suicide. it’s not pain. The latest figures from Oregon show that while 95% of patients requested euthanasia or assisted suicide for “loss of autonomy” and 92% for “loss of dignity” only 5% (3 people) requested it for “inadequate pain control.” It should be noted here that hospice care is not as well developed in Oregon as in other US states. The two professional associations representing oncologists in California wrote: It is critical to recognize that, contrary to belief, most patients requesting physician-assisted suicide or euthanasia do not do so because of physical symptoms such as pain or nausea. Rather, depression, psychological distress, and fear of loss of control are identified as the key end of life issues. This has been borne out in numerous studies and reports. For example, … a survey of 100 terminally ill cancer patients in a palliative care program in Edmonton, Canada,. .. showed no correlation between physical symptoms of pain, nausea, or loss of appetite and the patient’s expressed desire or support for euthanasia or PAS. Moreover, in the same study, patients demonstrating suicidal thoughts were much more likely to be suffering from depression or anxiety, but not bodily symptoms such as pain. Fourth – there are multiple problems with criteria for witnesses and reporting structures. Witnesses can be strangers or those who seek to benefit from the death. Can be friends of the heirs. Under this Initiative [11-12], someone who would benefit financially from the patient’s death could serve as a witness and claim that the patient is mentally fit and eligible to request assisted suicide. The Initiative [11-12] requires that there be two witnesses to the patient’s written request for doctor-prescribed suicide. One of those witnesses shall not be a relative or entitled to any portion of the person’s estate upon death. However,this provides little protection since it permits one witness to be a relative or someone who IS entitled to the patient’s estate. The second witness could be the best friend of the first witness and no one would know. Victims of elder abuse and domestic abuse are unlikely to share their fears with outsiders or to reveal that they are being pressured by family members to “choose” assisted suicide. The US Bishops stated last year that “in fact, such laws have generally taken great care to AVOID real scrutiny of the process for doctor-prescribed death—or any inquiry into WHOSE choice is served. In Oregon and Washington, for example, all reporting is done solely by the physician who prescribes lethal drugs. Once they are prescribed, the law requires no assessment of whether patients are acting freely, whether they are influenced by those who have financial or other motives for ensuring their death, or even whether others actually administer the drugs. Here the line between assisted suicide and homicide becomes blurred.”In Oregon, in only 28 percent of the patient deaths has the prescribing physician been present at the time of patient ingestion of the lethal dose, and in 19 percent of the cases, no health care provider has been in attendance. The fifth technical problem is that the initiative doesn’t do enough limit the possibility of elder abuse or a lack of consent. Criminologist Jeremy Prichard doubts that many people in the community will be able to give full and voluntary consent to ending their lives. He contends that the growing prevalence of elder abuse suggests that aged people could easily be manipulated.Most elder abuse is at the hand of a relative. We must recognize that the prospect of euthanasia and assisted suicide becoming law in this country could effectively be aiding and abetting elder abuse with extremely grave consequences.It’s not hard to imagine that a relative who has been systematically abusing an elder emotionally and financially could see euthanasia as the final (and most profitable) card to play for personal gain.It’s not hard to imagine someone who has been emotionally abused over time succumbing to the suggestion that they ‘do the right thing’ once their frailty and ailments reach a certain point. Now I’d like to discuss 8 larger issues that are involved .There’s a false compassion involved in this initiative.It’s an explicit promotion of suicide. 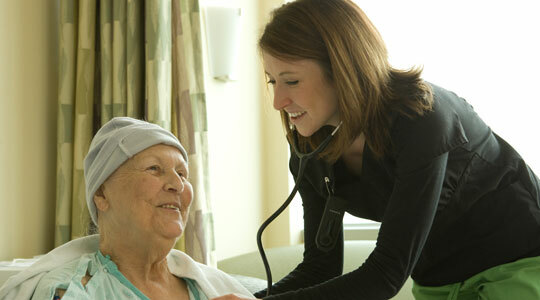 It will lead to a weakening of palliative care. It creates tremendous pressure on those who are ill and on their caregivers. It provides financial incentives toward euthanasia. It begins a slippery slope to many other possible abuses and evils. It creates legitimate fears in the disabled community. And It introduces a change in the nature of medical care. Third – it will lead to a weakening of palliative care – The push for doctor prescribed death is a movement to kill not the pain a person suffers but the person with the pain. Euthanasia advocates have pushed to confuse everyone on the palliative care issue: They have conflated or fused palliative care — the medical alleviation of pain and other distressing symptoms of serious illness — with intentionally ending the life of the patient.The pro-euthanasia lobby has deliberately confused pain relief treatment and euthanasia in order to promote their cause. Their argument is that necessary pain relief treatment that could shorten life is euthanasia; we are already giving such treatment and the vast majority of people agree we should do so; therefore, we are practicing euthanasia with the approval of the majority so we should come out of the medical closet and legalize euthanasia. Indeed, they argue, doing so is just a small incremental step along a path we have already taken. Fourth – it creates tremendous pressure on those who are ill and on their care givers – If voluntary euthanasia is introduced, every dying person capable of doing so would have to decide not just whether or not his own pain had become too much to bear, but whether or not the emotional, physical and financial burden was becoming too much for relatives and friends to bear. What are the dying to do when their children and grandchildren have to travel long distances, endure enormous emotional strain and go through wearing physical fatigue to be with them during an awkwardly long and unpredictable “dying period”? What are the poor, vulnerable dying to do when they are made to feel that their continued existence is an intolerable public burden? In cases where the dying elderly are not in a position to give formal consent to their own death, those legally vested with the right to make this decision on their behalf can never be sure that they acted out of the right motives. (In the worst case, one can wonder whether they were motivated by their dying relative’s emotional strain or by THEIR OWN, by the interests of the patient or by the prospect of securing an inheritance sooner rather than later?, and so on). The legalization of euthanasia would put almost “humanly impossible” demands on the dying and their relatives, especially if they are poor. Where voluntary euthanasia is illegal, the timing and extent of medical intervention in the lives of dying patients is more a matter of “professional judgment” than of “personal choice” and this means that the health professions are able to protect the poor and vulnerable from pressures of this kind. Patients in Oregon have already encountered that reality. In May 2008, 64-year-old retired school bus driver Barbara Wagner received bad news from her doctor. Her cancer had returned. Then she got some good news. Her doctor gave her a prescription for medication that he said would likely slow the cancer’s growth and extend her life. It didn’t take long for her hopes to be dashed.She was notified by letter that the Oregon Health Plan wouldn’t cover the prescribed cancer drug. It also informed her that, although it wouldn’t cover the prescription, it would cover all costs for her assisted suicide. Wagner said she told the OHP, “Who do you guys think you are? You know, to say that you’ll pay for my dying, but you won’t pay to help me possibly live longer?”Wagner’s case was not isolated. Other patients received similar letters. For many years Dutch courts have allowed physicians to practice euthanasia and assisted suicide with impunity, supposedly only in cases where desperately ill patients have unbearable suffering. However, Dutch policy and practice have expanded to allow the killing of people with disabilities or even physically healthy people with psychological distress; thousands of patients, including newborn children with disabilities, have been killed by their doctors without their request. There is a moral trickle-down effect. First, suicide is promoted as a virtue. Then follows mercy killing of the terminally ill. From there, it’s a hop, skip and a jump to killing people who aren’t perceived to have a good “quality” of life, perhaps with the prospect of organ harvesting thrown in as a plum to society. Seventh – the disabled community is rightly concerned about this initiative – A Once concerns about the perception of one’s quality of life come to the forefront, disabled advocates anticipate that the disabled will be among the first to be targeted under an anthropology focused on doing rather than being. These advocates tell us that many people with disabilities have long experience of prejudicial attitudes on the part of able-bodied people, including physicians, who assume they would “rather be dead than disabled.” Such prejudices could easily lead families, physicians and society to encourage death for people who are depressed and emotionally vulnerable as they adjust to life with a serious illness or disability. Although the debate about assisted suicide is often portrayed as part of the culture war—with typical left-right, pro-con politics—the largest number of witnesses at the most recent hearing on Beacon Hill were 10 disability-rights advocates who oppose the initiative. According to the National Council on Disability: “As the experience in the Netherlands demonstrates there is little doubt that legalizing assisted suicide generates strong pressures upon individuals and families to utilize the option, and leads very quickly to coercion and involuntary euthanasia.”This is a fear that many people living with a disability and their families express over the idea of euthanasia.They fear that misunderstandings and false compassion could result in them being considered ‘better off dead’; devalued and perhaps even killed. They also fear being treated as second class citizens in respect to their medical care. A policy of euthanasia will inevitably lead to establishing social standards of acceptable life. When “quality life” is more important than life itself, the mentally ill, the disabled, the depressed, and those who cannot defend themselves will be at risk of being eliminated. In Massachusetts, the disability advocates call their opposition group “Second Thoughts.” They say that assisted suicide may sound like a good idea at first, but on second thought the risks of mistake, coercion and abuse are too great. Once we allow doctors to start to kill patients with terminal illnesses, the meaning of the medical profession changes, from one that seeks always to save lives, to one in which it is possible to end them. Once that occurs, then it’s a small step to allowing them to assist non-terminal patients in taking their lives and another to putting pressure on those who are in terminal illnesses to do family members and society a “favor” by ending their lives so that medical resources can be spent elsewhere. We’ve seen the consequences in terms of the doctor-patient relationship. In Holland, reports have been published documenting the sad fact that elderly patients, out of fear of euthanasia, refuse hospitalization and even avoid consulting doctors, because doctors and nurses become potential destroyers of life, rather than defenders. They become executioners. There would also be a fundamental change in the way doctors are formed. A fundamental value and attitude that we want to reinforce in medical students, interns and residents, and in nurses, is an absolute repugnance to killing patients. It would be very difficult to communicate to future physicians and nurses such a repugnance in the context of legalized doctor prescribed death. With regard to the citizens initiative petition, we need to know some facts. It’s still in the “second quarter of the game,” but we are slightly behind and therefore we must work harder and better, both on offense and defense. There is a gender difference. Men were in favor of 48-34 percent.Women were opposed 41-38.Therefore we particularly need to work on men to become real protectors of the vulnerable and to accentuate woman’s nature compassion. There are also generational differences. 65 and older were opposed with 44 percent against it. Those 46-65 were the most in favor, with 49 percent supporting the bill. It’s clear that our seniors will be opposed if the specter of people making the decision for them is brought to them.We need to help the care giver generation to recognize there’s a better way, a way of returning love for the love received, of the availability of good palliative care in hospices. This initiative petition is a time in which all citizens of the Commonwealth have the chance to choose the path of Cain and Kevorkian or the path of the Good Samaritan. It’s the path of the executioner or of the truly compassionate care-giver, the life-affirming hospice nurse, the 24-hour operator at suicide prevention hotlines, and the heroic firefighter or police officer who climbs bridges, risking his life to save those who are contemplating ending their own. The path of the true brother’s keeper will also be shown in the educational work of those who begin anew to educate others about the dignity of every human life and persuade legislators and fellow citizens to rise up to defeat soundly this evil initiative. It’s a matter of life or death.